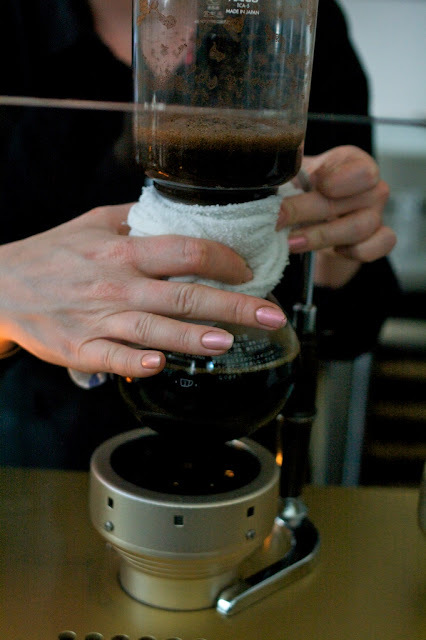 Our Barista adds the coffee grinds in a filter above the water. 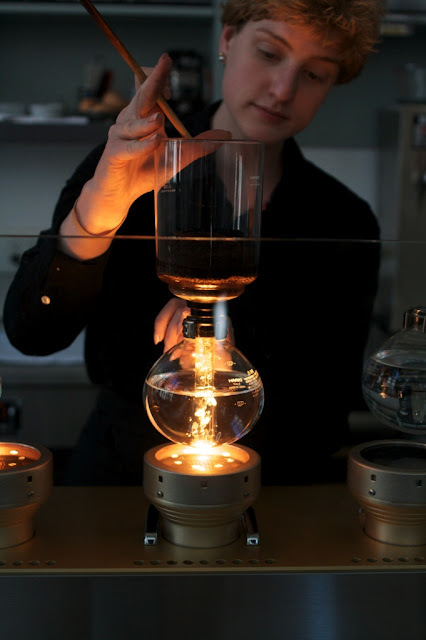 The siphon defies gravity (because hot water wants to rise) and the water flows up into the glass tube with the coffee. 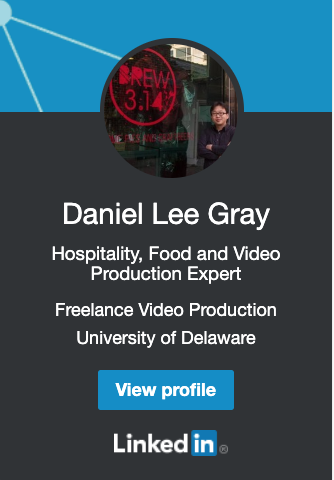 Am I a coffee snob? Cheri is a coffee snob in training. After a year of e-mailing and reading each other's blogs, we finally meet in person. 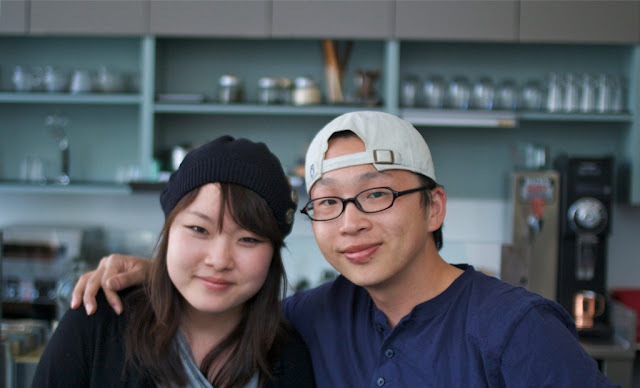 While I was in San Francisco, I was able to meet up with Seoulberry. If you don't know who she is, you can check out her blog. 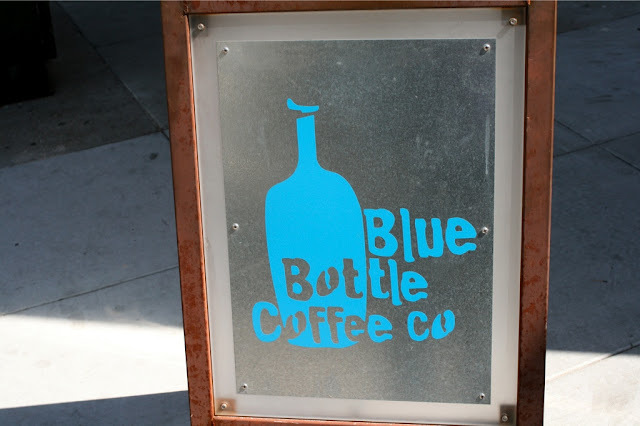 And one of the food related places that we went to was the Blue Bottle Coffee Company, which is considered by many San Franciscans as having the best coffee in the city. They have two locations. One is in the Ferry Market on the pier and the other is on 66 Mint St. (corner of Jessie). 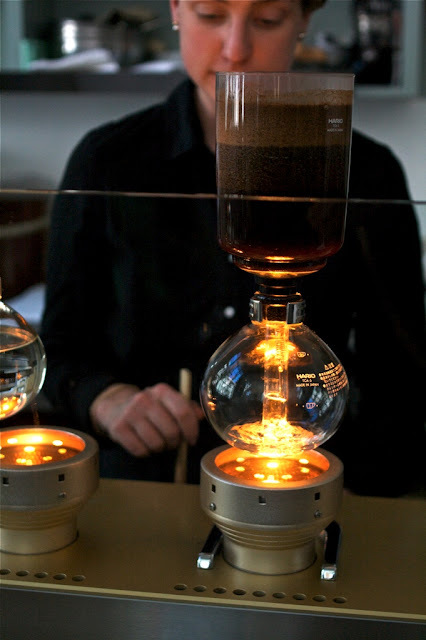 Cheri and I went there and we discovered they had a $30,000 dollar siphon coffee system. We just had to get that. 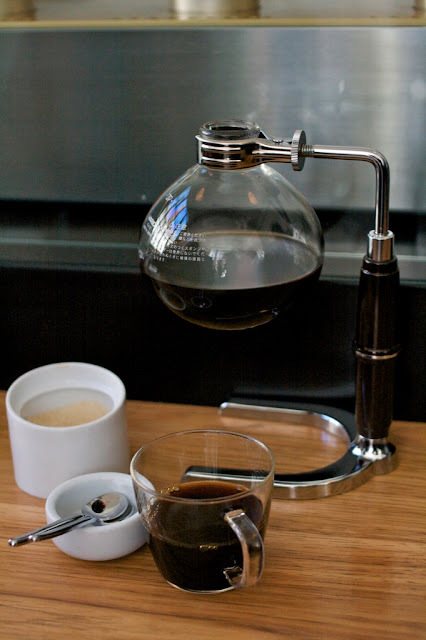 We ordered a pot ($12.00) of their Ethiopian Yiracheffee bean and the barista went to work. You can see the process written next to the pictures above. 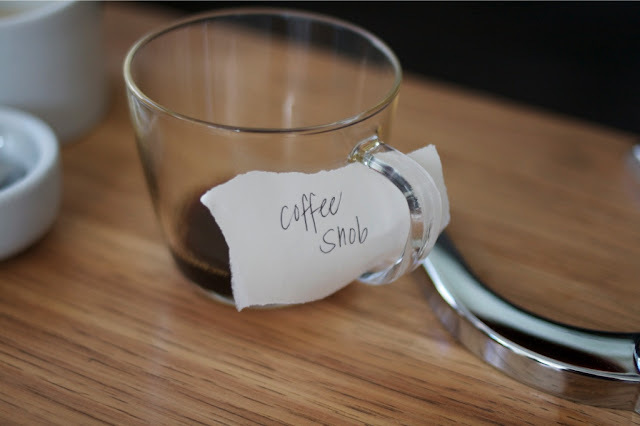 So...does this system make a better cup of coffee? Yes. It makes a very delicate cup of coffee that is... in stasis. It's a coffee that is in limbo. It's the Lucifer Morningstar of coffees. This coffee is in the perfect state of perfection and ordinary and every second's exposure to the air and the elements changes it back into the basic elements of the earth. At first sip the coffee clearly has notes of blueberry and by blueberry I mean blueberry. It has that slightly tart mangosteen smear with echoing note of sun. Then bitter notes from coffee ring out and then calm into bass notes as you swallow. 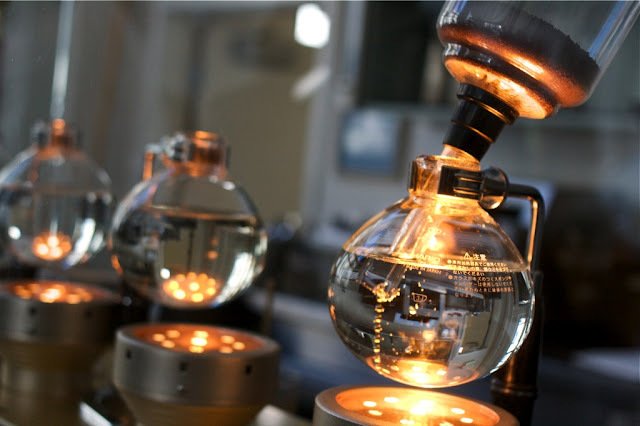 The coffee when it is first out of the siphon feels reanimated. The longer it sits, it gets earthier- this is not bad by any means- but it loses that initial spark. Also, Cheri called me a coffee snob because she thought that I would judge her for wanting to put cream and sugar into her coffee. I didn't even say anything, but she just assumed that I would. (OK, I would have judged her, but I wouldn't have said anything to her face.) 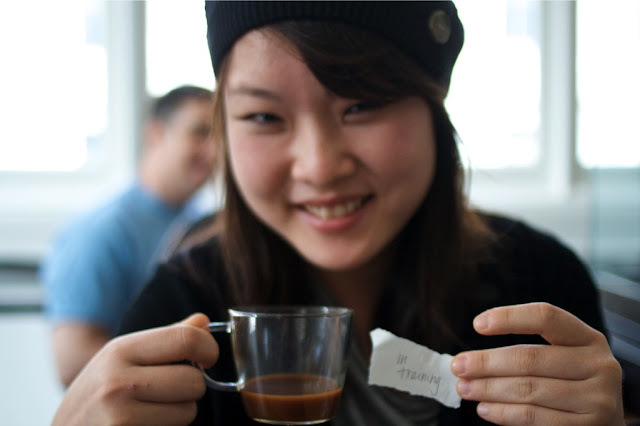 So, she labeled me a "coffee snob" and she wrote a note that said she is a coffee snob "in training." Blue Bottle Coffee has great coffee and Cheri is a wonderful San Francisco guide. Cheri, thank you so much.